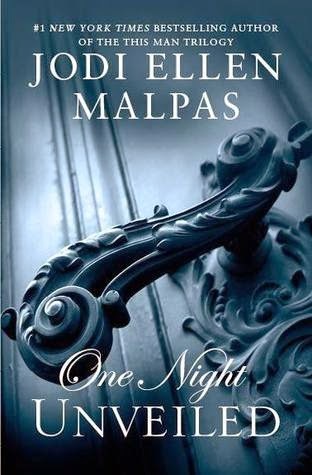 This is the final book in the One Night Trilogy and I have to say it is my favourite one of the bunch. All my questions were answered and I had a happy smile on my face at the end. If you have read my reviews on the previous two books then you will know that this was a series that I have struggled to read. I did manage to read this book in one sitting but once again I did feel that the beginning did drag a little and was a little repetitive. However, the second half of this book is full of action and it is at this part that this book comes into its own. Miller, Miller, Miller…him and “his thing,” it is amazing how finding love can change a person and meeting Livy was definitely his game changer. It is hard to believe that the Miller in this book and that of book one are the same person. He has embraced this new emotion and goes all in and it was beautiful to read. I fell in love with Miller a little more in this instalment and after seeing some his background I began to understand him all the more. Livy really comes into her own in this book; she is brave and ballsy and goes all out in this instalment. She is fiercely protective and loyal, not only with her family but especially Miller and in this book, whether he realises it or not, he needs it. Livy also has her own personal problems to deal with and as more family secrets are revealed she has a lot to comprehend. Miller and Livy have a battle on their hands if Miller is to be finally free of his “obligations” and you always knew they were never going to let him leave without a fight. You will find yourselves wondering who is good and who is bad as true colours and secrets are revealed. There are some real surprises! The way in which this part comes to a conclusion had me melting; it is one of my favourite parts of this book. One thing is for sure though, JEM is the queen of epilogues, I was MELTING, SWOONING and near to tears reading the final few pages and to say it was beautiful is a severe understatement. JEM always manages to bring me to my knees in these and once again she succeeded. As with any JEM book the writing was stunning, she always manages to weave a tale and bring their story full circle so that you can see their lives wrapped up neatly, like a gift. While I didn’t love this story as much as the This Man series, it was still an enjoyable read, especially this instalment and I personally cannot wait to see what is on JEM’s horizon next.